We conduct industry's leading and advanced online conversion tests to ensure consistent hike in your online sales and lead-generation. We have a quick and effortless way to run tests, get results, and check which variations are being tested. We test all your implemented changes carefully and help you determine what works and what not. The entire process is employed to assess and evaluate how these implemented changes have enhanced conversion rates your website's conversion. We have good experience in running robust A/B split and Multivariate tests for your website to ensure significant increment in your online sales and lead-generation. 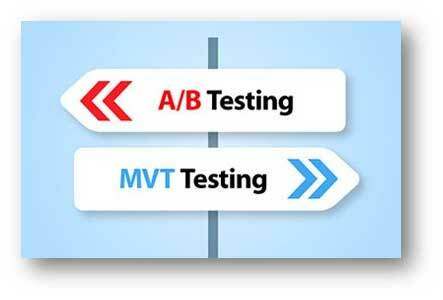 Run A/B and multivariate tests unitedly with one another. Heat map testing to pick the best ad placement, version of a page, design and more. Real time conversion reports of your test performance with charts and extensive details. No requirement of tagging and any sort of software integration. Very economical to easily fit your pocket. We take the complete onus of conducting these tests on the changes employed on your website. These tests are accurate and capable of analyzing the potential of your conversion rate optimization process. Results obtained through these tests are then compiled through very explanatory, easy-to-understand reports charts. These tests are extremely cost effective and with us, you get them done as appropriately and quickly as possible. Call us now on 0120-6790400 to get in touch with our Digital Marketing Specialist. They will tell you about our exclusive Conversion Testing Services made specially for the businesses like you.